Fourth of July Nail Art. 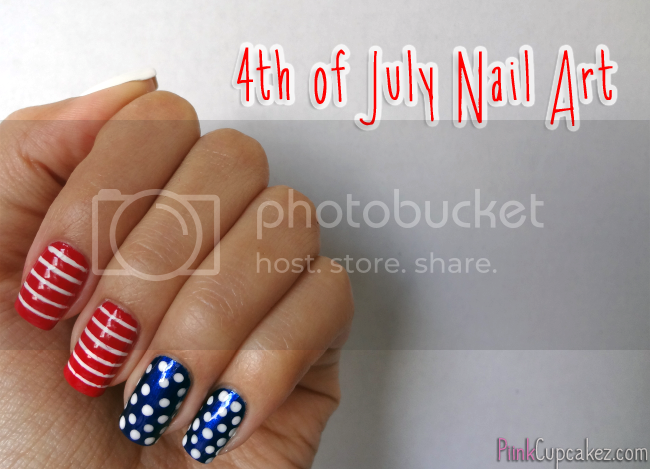 Get patriotic this fourth of July with these fun nails. 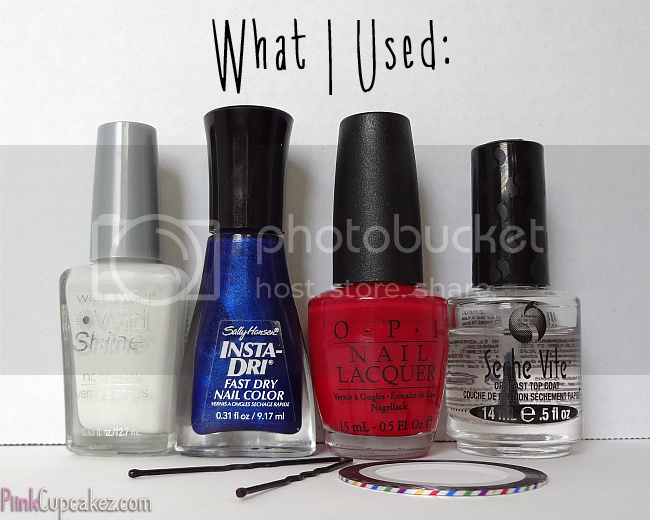 Wet n Wild Wild Shine "French White Creme"
Sally Hansen Insta-dri "Co-Bolt Blue"
1. Apply a base coat and paint your nails as shown below. 2. Once nails are dry, stick striping tape to your index and middle fingers. I used 5-6 pieces on each nail. Then, paint over the tape with red polish and peel off while nails are wet. 3. Dip your dotting tool(or in my case.. a hair pin) into white nail polish and add dots to blue nails. 4. Apply your top coat. Tag me on Instagram or email me a photo if you recreate this design! So cute! I'm not that great with striping tape, props to you!